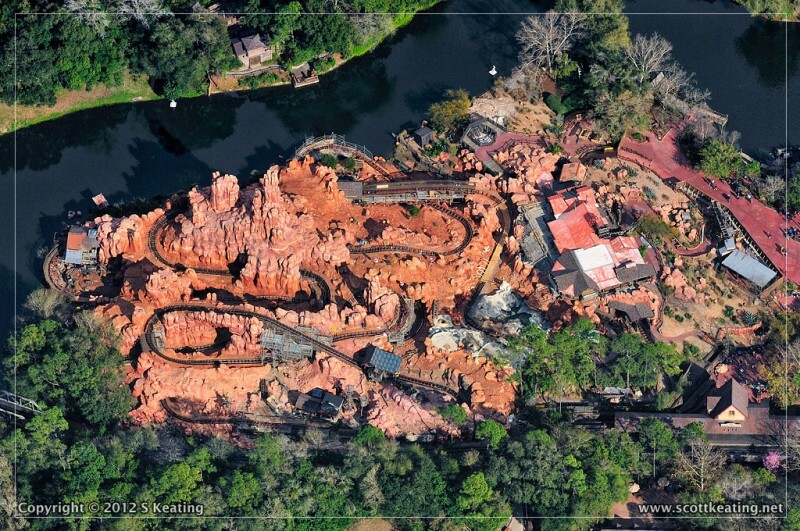 This topic is all about the construction/reconstruction of "New Fantasyland" at the Magic Kingdom, including Voyage of the Little Mermaid, Be Our Guest Restaurant, Seven Dwarf's Mine Train and Storybook Circus. 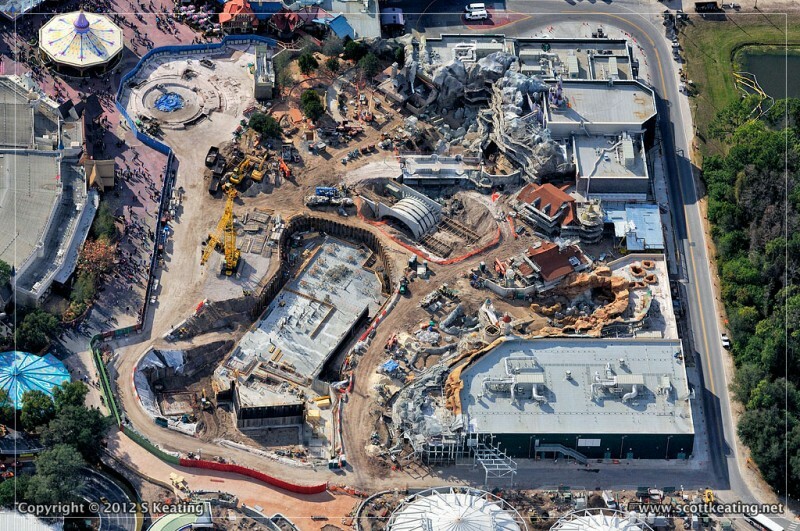 According to various sources, Dumbo will be re-opening in its new location on March 12th, one of the new sections of New Fantasyland set to open around the same time. 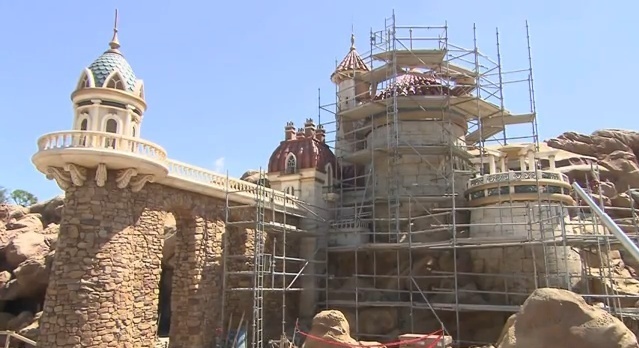 Voyage of the Little Mermaid and the "Be Our Guest" restaurant will open sometime later this year. Of course the dates and times are subject to change. 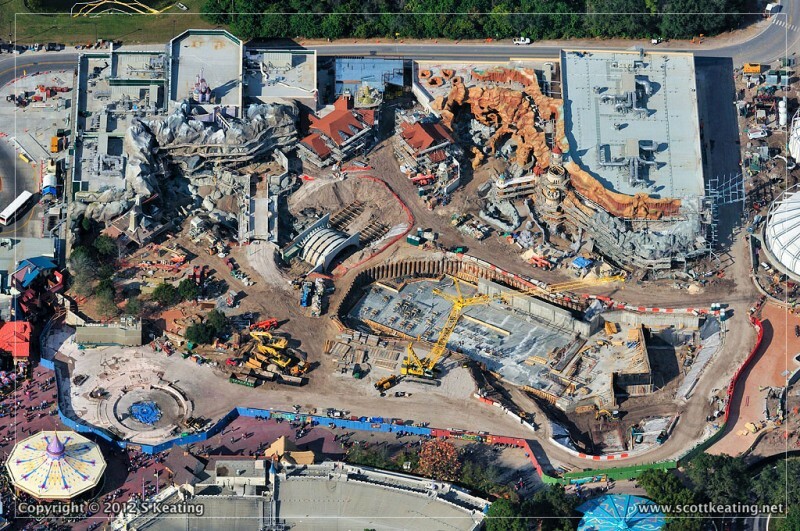 ^^ Pretty cool pictures, nice to see the expansion taking place.. I'm definitely going to WDW Magic Kingdom this year now for the first time, and I hope it will be magical! Wow, very cool pics. Really puts an image with the title. Our next trip to the World will most likely not be happening until a majority of this expansion is completed. Will give us plenty of new stuff to look forward to! WDWMagic confirmed that Snow White's Scary Adventures will be closing on May 31, 2012 to make way for the brand new Princess Fairytale Hall, part of the New Fantasyland project. 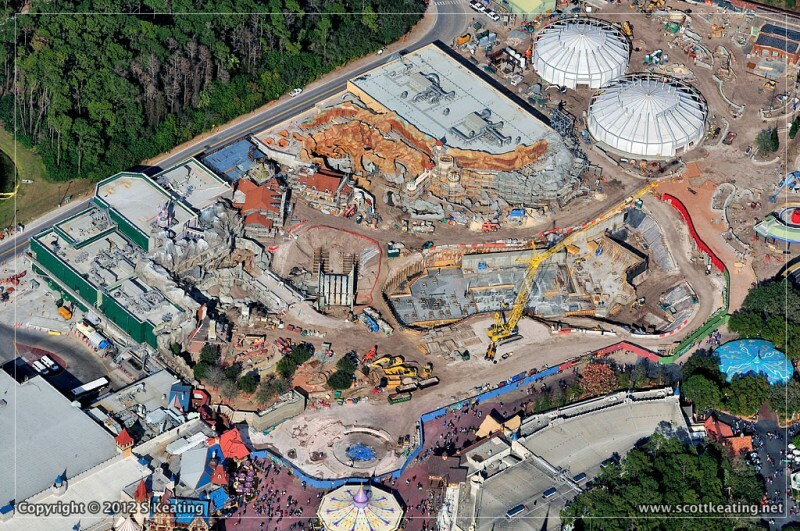 Looks like WDW will temporarily be without a Snow White themed ride until the Seven Dwarfs Mine Ride opens. The area (at least what's open) really looks great. 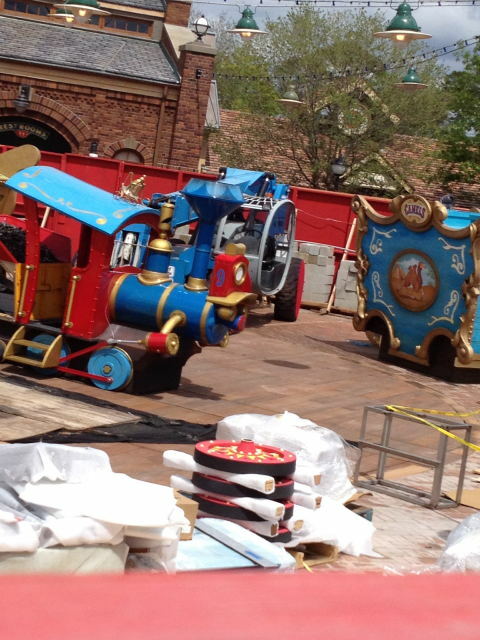 The Barnstormer looks a lot better now than it did previously (along with its own Fastpass queue). The new train station is 100% better than the old one, and everything just looks really colorful. I remember the complaints about this area when it was first announced but I think until it's all completed, it's going to be one of those things where people wished they wouldn't have complained after all. I didn't see this coming for at least another week but I'm glad they're finally getting it open in preparation for Spring Break crowds. I really think the area will look nice when finished. The attention to detail is incredible, especially when compared to the former area that it replaced. Thank you for the links! The area looks really great! I'm very surprised and impressed by what I've seen in the pictures so far!! I honestly thought that this are was going to look "cheap" (for Disney standards) but it doesn't look that way at all! There is a ton of detail and I love how there appears to be a lot of trees in this area too. I normally don't equate that with a circus theme. Here is another link showing the area at night. Dumbo looks great! That's exactly what me, and lots of others from around the web, were all thinking. I think it looks A LOT better than the area it replaced. Thank you for the update! I thought Casey jr would be alittle bigger, it could just be the angle, but he looks kind of small. It def should look good when its finished though! It's really amazing what Disney does. And amazing that they can complete all of this so fast, and yet it's better than anyone else does it! Yeah, definitely agreed! We're planning on returning again next year when most of this stuff is opened so we'll definitely be covering it for ALT! As Fantasyland undergoes the largest expansion in the history of the Magic Kingdom, nearly doubling in size, Walt Disney World Resort announced today that the Be Our Guest Restaurant, themed to the Disney animated classic, Beauty and the Beast, will open in time for the 2012 holiday season. While construction continues on the exteriors throughout Fantasyland, much of the interior decor at Be Our Guest Restaurant is already in place. Three chandeliers hang in the main dining room, the largest measuring twelve feet in length and eleven feet across with 80 lights and 100 large crystals. 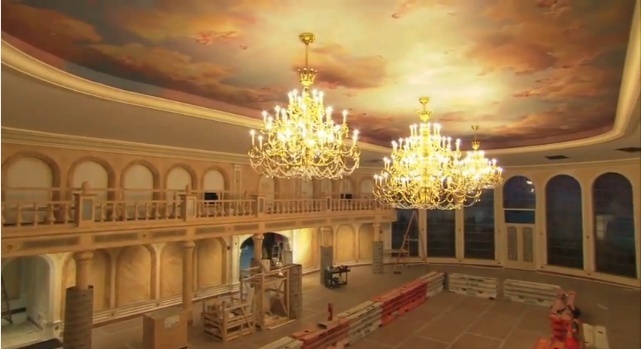 The two smaller chandeliers on each side measure 9.5 feet in length and eight feet across with 50 lights each. The trio of chandeliers are inspired by ones seen in the dining room in Beast's Castle. 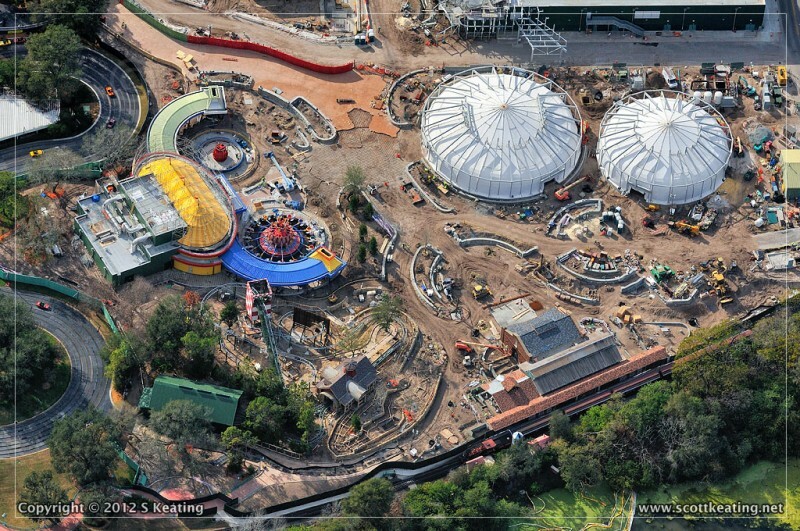 The next phase of Storybook Circus, including the second Dumbo, the indoor queue area, and the Casey Jr Splash 'n' Soak Station will open in July 2012. Under the Sea - Journey of The Little Mermaid, Enchanted Tales with Belle, Be Our Guest Restaurant, Gaston's Tavern and Ariel's Grotto will be open in time for the holidays at the close of 2012.